In preparation for this forecast, I first reviewed last year fishing photos, and I was taken back by the number of quality fish caught and the enjoyment expressed on the faces of the victorious anglers. My good friend and mentor Captain Rodney Smith always suggest I begin with the end in mind, and the end in this case is conserving and protecting the natural resource we all love and cherish. Before I get started with January’s outlook, I’d like to provide a short recap of last week’s fishing. First, the shad have arrived with over 20 hickory shad caught aboard Three Quarter Time yesterday on a 5-hour trip to the St Johns River. In early December I was concerned by the low water levels and lack of current on the St Johns, but a mid-December cold front dropped over 4-inches of rain greatly improving both the river level and flow. The crappie bite has also been very good on Lake Monroe this past week with several reported limits being taken. 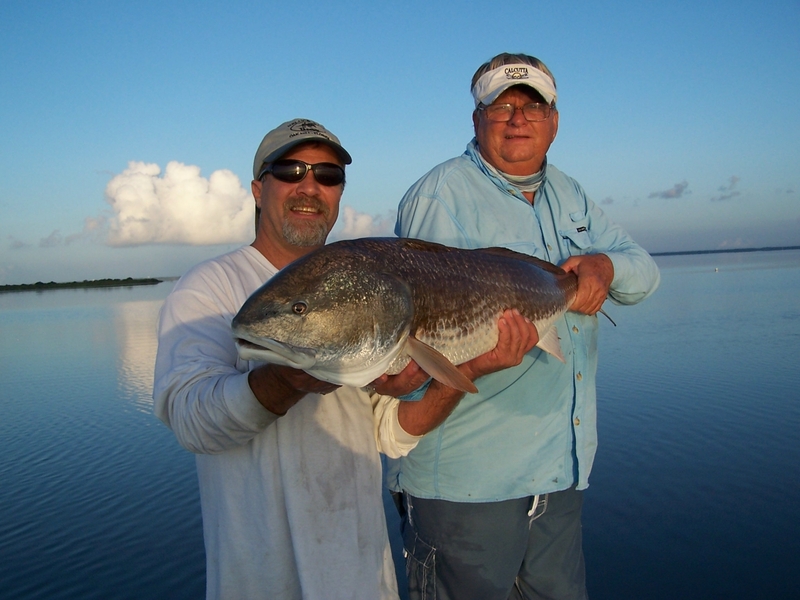 On the Mosquito Lagoon this past month water clarity has improved, and some decent catches of redfish were experienced. Lastly, nearshore fishing out of Port Canaveral has been very good when weather conditions are favorable. Winter on the east central coast of Florida cannot be defined by any specific dates, but rather by the temperature differences generated by passing cold fronts as they swing south across the state. These variations are subject to change from year to year, and are impossible to predict. On the average, daytime temperatures usually range from the 50’s in the morning to around the 70’s by afternoon. Likewise, water temperatures average in the upper 60’s, but they can drop as low as the 50’s during extended cold periods. On warm sunny days, water temperatures can increase as much as ten degrees on the shallow flats and sandbars. All these factors greatly affect the species targeted and the methods used. 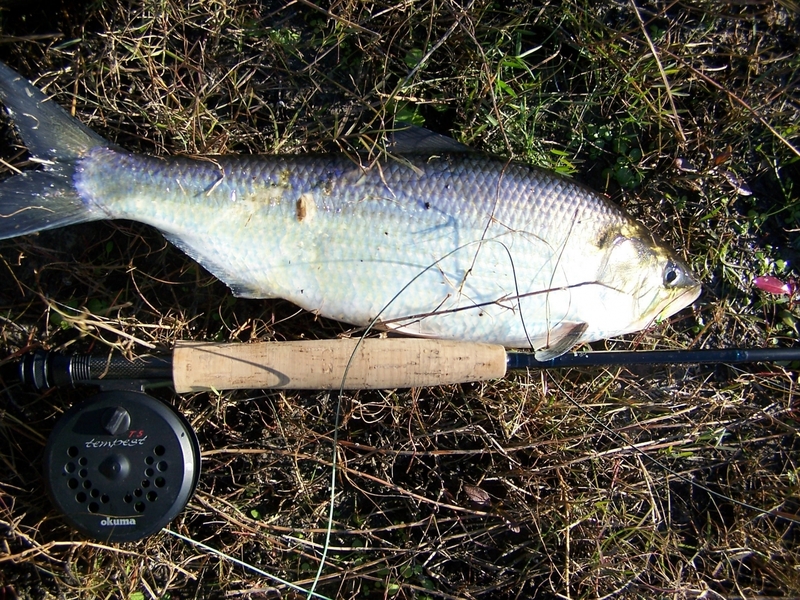 For starters, the American and hickory shad is my preferred winter freshwater fishery as they move up the St Johns River on their annual spawning run. Both water conditions and numbers of early arriving shad are looking good. These species are easy to catch and great fun on light tackle spin and fly tackle and the fishery is very accessible especially on those windy days. Included with these species are sunshine, largemouth and striped bass, crappie, brim and bluegill, and channel catfish. Inlet fishing can be good in January weather permitting, with Sebastian and Ponce De Leon Inlets proving to be the most productive. There are still some reports of flounder moving through the inlets, but the bite has slowed considerably. On the inside at Sebastian Inlet, look for good numbers of pompano, ladyfish, and jacks located on the flats both north and south of the inlet. Also, January is the month when the breeder size redfish move into the passes and feed in the mouth of the inlets during the last part of the falling tide. As the tidal currents slow down, the large redfish push up to the surface chasing baitfish. These monsters are brood stock, so please handle and release them with care. 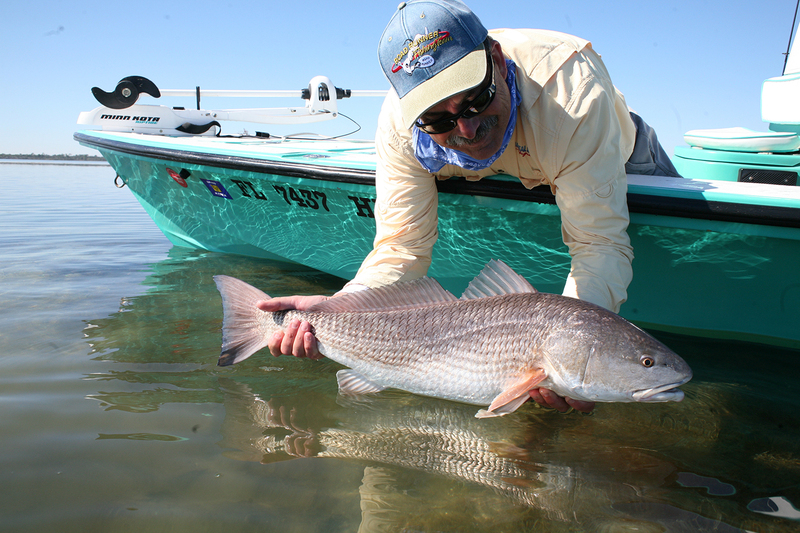 On the flats during the winter, redfish and sea trout will seek the warmest water they can find. Start out working the deeper edges of the flats in the morning and then move into the warmer wind protected flats around mid-day to late afternoon. An early morning start is not necessary this time of year if the weather is cold. Additionally, both redfish and sea trout love to warm themselves in the shallow water sand pockets “potholes” within the grassy flats. On colder days, focus your attention on the deeper holes using a very slow presentation. When targeting redfish and trout in these deeper holes, I prefer using shrimp imitation baits like DOA Shrimp in the clear or nightglow colors fished extremely slowly. Along the beaches, pompano will remain the staple for most surf anglers, with a mixed bag of whiting, slot size black drum, Spanish mackerel, and bluefish added in. Try fishing with sand fleas (mole crabs) if you can catch them, cut fresh clams, or freshly peeled live shrimp. Currently, the Canaveral National Seashore is closed due to the Government shutdown which is proof that politics and fishing do not mix. Near-shore, January is the month when the tripletails become consistent on the Port Canaveral buoy line, and their numbers will increase as the month progresses. The other hot item near-shore is king mackerel holding along the 70 to 90-foot reefs of North Pelican and 8A. Also, bottom fishing on deep structure should remain consistent if the weather holds. In closing, I wish you a happy, prosperous, and fishfull New Year, and if you care about a sustainable fishery, make it a point to share your passion with others.